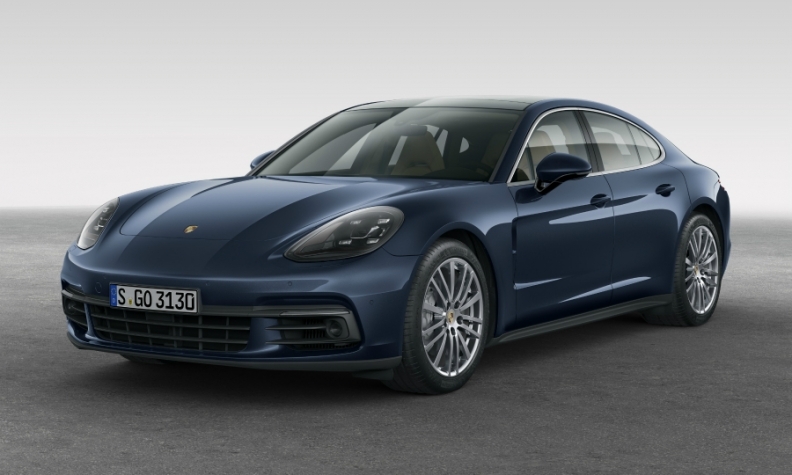 Porsche used a Panamera to test applications such as locking and unlocking the vehicle via an app and temporary access authorizations. STUTTGART -- Porsche aims to use a decentralized form of bookkeeping known as Blockchain to keep customers' financial data safe from hackers during online transactions. As cars become increasingly connected with each other and their environment, Porsche hopes to use Blockchain to offer customers services to take over more mundane tasks involved in owning a vehicle. Porsche said it is the first automaker to successfully test Blockchain in a car. “We’ve proven it works and that it offers value to the customer,” said Oliver Doering, Porsche’s financial strategist. Over a three-month project that ended in December, developers and engineers turned a Panamera sedan into a node in Blockchain’s peer-to-peer network. The pilot applications tested included keyless entry via an app, temporary access authorizations and new business models based on encrypted data logging that analyze driving behavior. Porsche said more uses could be developed, for example, to improve autonomous driving functions. "In the future, we want to provide digital mobility-related services to create further revenue and earnings growth. Utilizing Blockchain can play a considerable role," Doering said. For example, the upcoming Mission E full-electric car could digitally sign a roaming contract to recharge its battery wirelessly, while handling the subsequent payment itself. This involves however the transfer of sensitive data valuable to cybercriminals. Best known as the system used to track transactions of the virtual currency Bitcoin, the possibilities of Blockchain extend far beyond traditional banking. Any type of encrypted information can theoretically be exchanged as this "distributed ledger" was mainly designed to prevent data from being tampered with. "This is the opposite approach of a central server, which has the disadvantage that it can be hacked," Doering said. Apart from ensuring every business deal conducted is verified by all participants in the network, making it harder to commit fraud, another major benefit is that Blockchain fulfills the stricter data privacy laws that take effect throughout the European Union starting May 2018. "Since the new directive stipulates that the customer has ownership over his or her data, we as the manufacturer have to guarantee and provide proof that they first off gave us their approval to use it. With Blockchain technology the customer has the ability to selectively provide access to his data as they see fit," Doering said. Because there is no need to send data back and forth between a central server, Porsche said the process of opening and closing the door via an app took only 1.6 seconds - up to six times faster than before. This offers the opportunity for package delivery to be handled entirely via the car, without any additional hardware and no real hassle. Porsche parent Volkswagen Group is taking a different approach. VW Group's digital strategy chief, Johann Jungwirth, tweeted his support for a rival standard called Tangle, which claims to solve Blockchain’s scalability and energy-related problems including the ever-growing amount of computing power and electricity needed to maintain the system. Whereas Tangle is free, the price to conduct Bitcoin transactions via Blockchain has surged as more and more participants have joined the platform. Tangle has been in beta testing only since last year and has yet to be proven safe. So far no one has successfully been able to crack the encryption algorithm behind Blockchain since it debuted in 2009. Experts say only a quantum computer, a promising young technology VW is currently testing with Google, might have the capability to one day hack Blockchain.